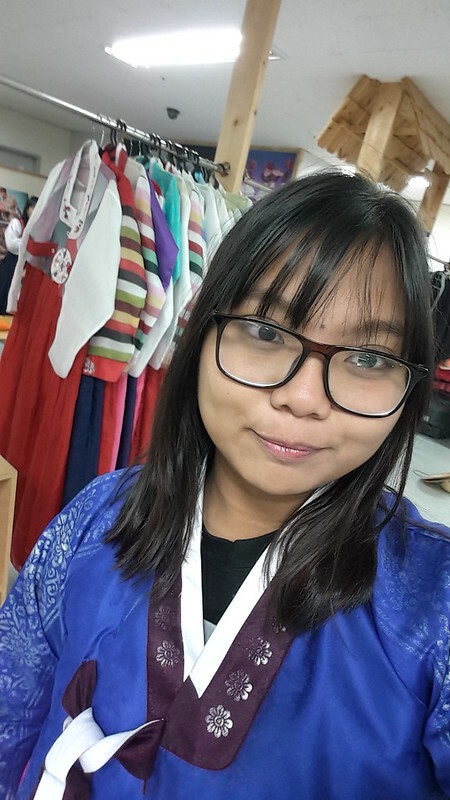 It’s not my first time wearing Hanbok but every time I try one, it makes my heart flutter. It feels like you are a part of a Korean epic drama and that you instantly walk gracefully and cautious while wearing it. Hanbok is Korea’s traditional clothes and it’s more comfortable when you wear it than how it looks like in some photos! However, it consists of layered clothes so you might find it hot wearing it on a summer day! - I honestly had a hard time finding the name of the place and location ’cause it only says ‘Kim museum’ but when you try to locate it via google maps or Instagram location at least. It doesn’t show any! - If you are coming here on a tour, you must be fast! The design or size that you want might already be in the hands of someone else! What I am referring to is the group visit. - The area is smaller than it seems in the photo, it’s just a room actually but they provide different areas/ prettily designed Korean inspired locations so you can roam around and take some photos. - We only had around 15 mins to take photos but luckily had the chance to take in all areas! Just be quick! As for me, I love to take selfies so I had tons in my gallery! 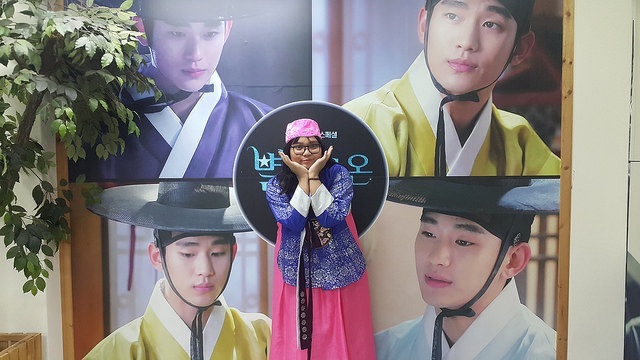 - I kinda regret wearing a headdress as it doesn’t really go well with the design of my Hanbok or maybe it’s just me HAHAHAHA. - They will asssist you with tying the ribbon because it must not be the traditional one. Don’t do the same thing we did! Here’s some of the choices they’ve got for your outfit! The items to choose from were around 50 plus including that for male. Although they have a limited selection for male.